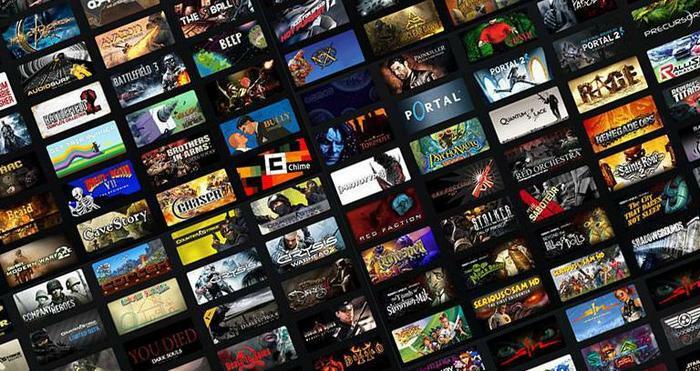 For over a decade now, Valve’s Steam has been the dominant marketplace for digital distribution in the PC gaming world. However, there are plenty of reasons to consider looking elsewhere when it comes to buying the latest games for Windows and Mac. Why are alternatives to Steam important? The first reason to consider a digital distribution service other than Steam is because it could actually save you money. Though the Valve’s storefront does have a pretty widely-known reputation and legacy for its enormous sales, recent days have seen other digital distribution platform offer comparable or better deals. Even Steam’s own seasonal sales aren’t quite the event they used to be, with Valve retiring flash sales in 2016. If you’re willing to shop around, there’s a good chance you’ll be able to find the game you’re looking for - and at a better price than you’ll find it on Steam. 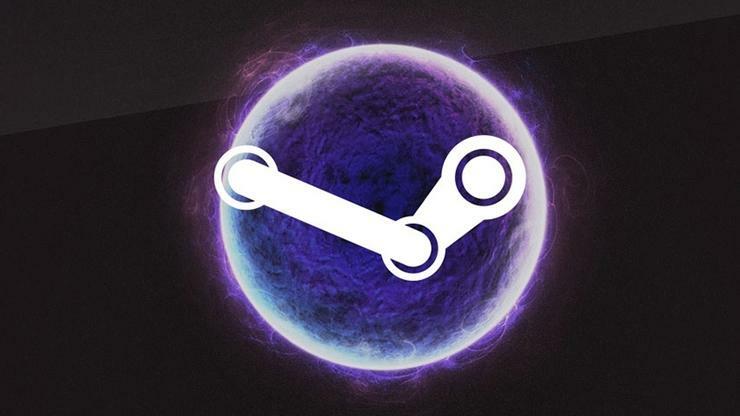 Whether or not Steam could be considered a true monopoly is debatable, but there’s plenty of evidence that Valve haven’t always leveraged their preeminence in the gaming space towards good, or even consumer-friendly, outcomes. 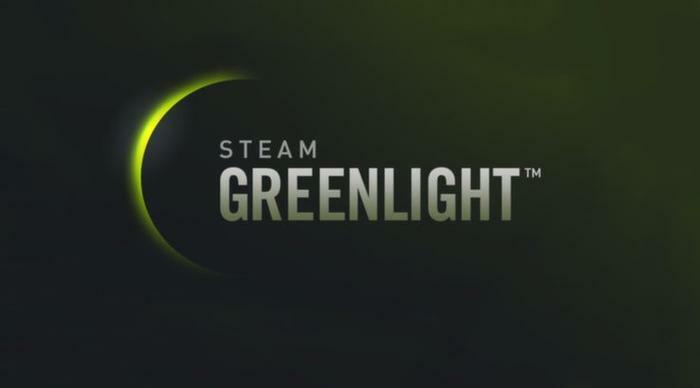 Steam’s policies around hands-off curation policy, Greenlight, Early-Access, refunds and even the Steam Workshop have all incited controversy at one stage or another - which says something about Valve’s broader regard for consumer rights. It also says something about the way that they see their status as the dominant platform-holder in the PC gaming market. Throwing your money at Valve in spite of that only encourages them to continue operating this way. If you’re developing a game for the PC in 2018, you have to play nice with Valve’s Steam store (plus pay them a 30% slice of your revenue) or your commercial prospects diminish by an order of magnitude. What’s more, even if you do opt to play nice with the various policies and requirements, the absent-minded lack of curation in the Steam Store means that your product might just end up buried by the churn of the new releases on the front-page anyway. Other online store-fronts offer more competitive revenue-sharing splits. But, as it is, ignoring Steam isn’t really an option for many developers. The platform simply has too much reach and power to do so. It’s a real damned if you do, damned if you don’t type of situation. And while buying software through other digital platforms won’t directly change that, it provides a market-driven incentive for Valve and other platform-holders to eventually look at addressing those issues and changing for the better. 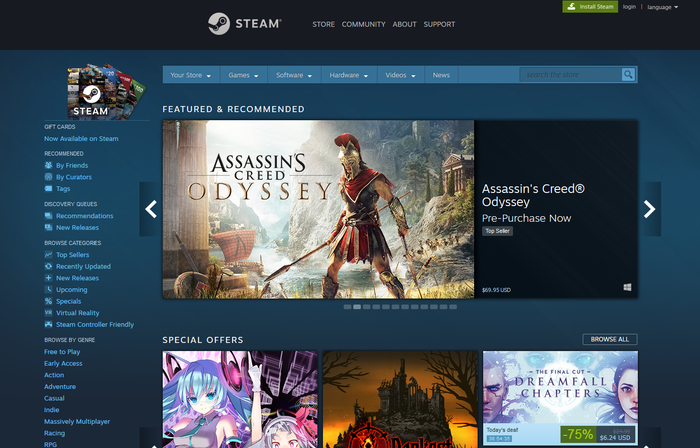 Although there’s a definite degree of convenience that having all your games belong the same account brings, there are a basketful of good reasons to be cautious about continuing to empowering Steam as the defacto platform for PC gaming. Again, it bears repeating that Valve is a private corporation looking to make a profit. Despite all the playful branding in the Steam store, the company isn’t your friend. They’re not looking out for you. They’re in it for the money. And their past behavior suggests that they’re keen to take it through the laziest means possible. After more than a decade of selling to Australian customers, the company can’t even be bothered adding support for Australian dollars to their store-front. Valve are a digital rentier that exploits their dominant position in the market place to take a slice out of the sales of almost every PC game that gets released with little-to-no effort on their part. And, to their credit, that strategy has made Valve an incredibly wealthy company. Many speculate this is why the company no longer invests in single-player experiences like they once did. But it’s also lent the company an aura of arrogance that’s distasteful and often made manifest by the company’s anti-consumer practices. Valve spent eighteen months clashing in courtrooms with the ACCC over their lack of regards for Australian consumer rights law. Would you buy furniture or groceries from a company that refused to offer refunds? What about one that forced you to pay prices set by local resellers in US dollars? If you’re the kind of person who’d agrees that the above is ridiculous and still thinks of Steam as their defacto destination for buying PC games, it might be worth rethinking that. Next Page: what alternatives to Steam are there?